This weekend Scranton MMA instructors took part in two very different martial arts events. We had two instructors compete, and MEDAL at the no gi pan am championships and three of our Judo instructors taught self defense in the middle of the woods!?!?? First we had two of our instructors Jess Papi and Stephen Peragallo compete in the IBJJF no gi Pan Am Championships. This event brings out some of the best talent from all over the world! Stephen and Jess both had very tough divisions with great competitors. Steve and Jess both were able to reach the podium and they both took home silver medals. Im sure if you have been in the academy during the last few months you noticed how hard they both have been working in preparation for this tournament. It is awesome to see two of our very own instructors go out to test their Jiu Jitsu against the very best. It shows that what is being taught and practiced in our academy works at the highest level. 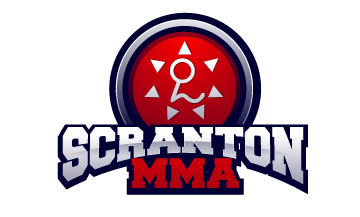 It also gives everyone who trains at Scranton MMA the chance to learn from their experience. Only some of our students compete for one reason or another but the ones who do go out and compete are able to come back and share what worked for them, what did not work for them and it helps all of us improve. When you see Jess or Steve at the academy please take a second to thank them and congratulate them on their success. So in a very different environment from an international competition three of our Judo instructors made a trek into the middle of the woods to teach scouts Judo and Self Defense. The scouts were at Goose Pond in North East Pennsylvania for a weekend full of adventure and very little sleep. The scouts got to take classes on a wide variety of topics and interests. The Judo event was one of the highest attended classes during the weekend and the only one where students learned to throw people, choke people unconscious and brake a persons arm. All of the scouts learned some very practical self defense techniques as well as some fun sport Judo techniques as well. The instructors Tom McGuire, Jen Williams and Vito Picozzo all had a great time as well. Teaching Judo outside right by a lake with a great view and great weather made for an awesome time. Then to get the chance to meet so many great people from the scouts to the staff made for a very memorable experience.